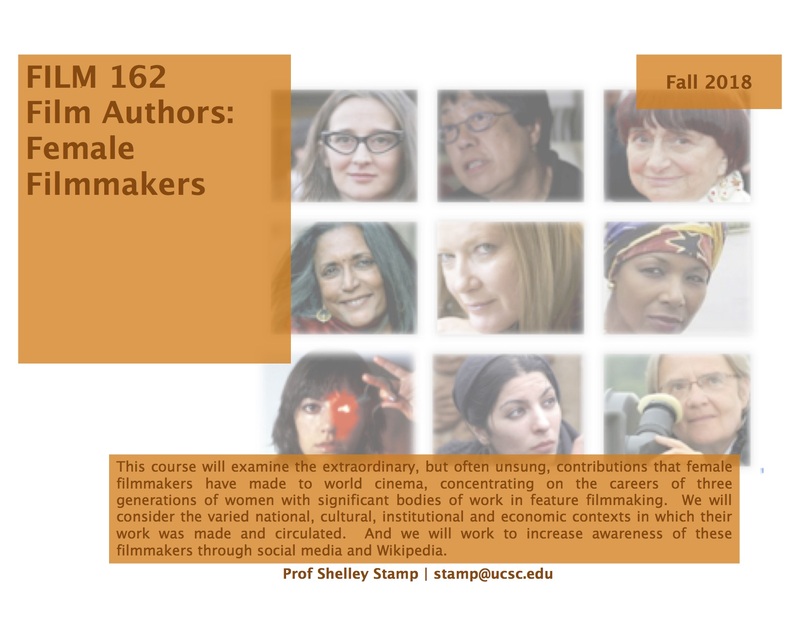 This course will examine the extraordinary, but often unsung, contributions that female filmmakers have made to world cinema, concentrating on the careers of three generations of women with significant bodies of work in feature filmmaking. We will consider the varied national, cultural, institutional and economic contexts in which their work was made and circulated. And we will work to increase awareness of these filmmakers through social media and Wikipedia.